For a complete report of sound test results, please click the product name in this table. Download Spec Sheets, Installation Instructions, Sample Request, Brochures and More! 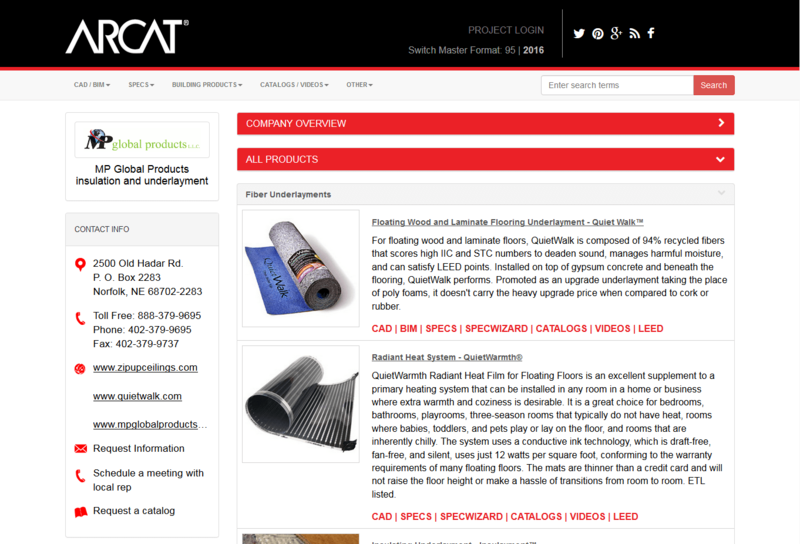 Find Building Product Information easily and for free and easy. ARCAT hosts MP Global Product's specifications, CAD details, BIM, and other helpful information in an easy-to-use library. 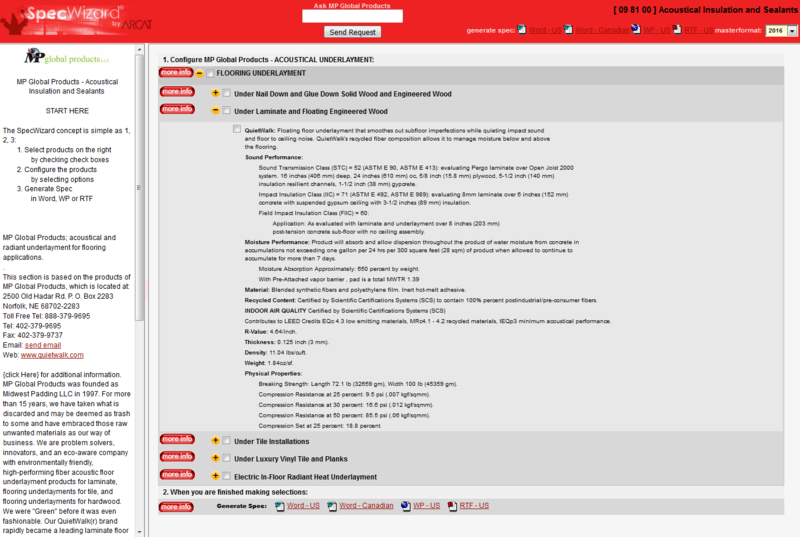 ARCAT's SpecWizard creates complete 3-part CSI construction product specifications with your direction that can be freely generated and downloaded for Word and other word processing formats. Solve this simple math problem to prove to us you are not a robot. 2 + 5 = ?